As some of you know, I started a group called Northwest Pet Bloggers (some of our meetups will be held virtually so people outside of the Northwest are welcome to join our group too). We had a meeting last week. One of the people who came was a woman names Kizzie Jones. It turns out that she wrote a children’s book and generously brought one to give to me. 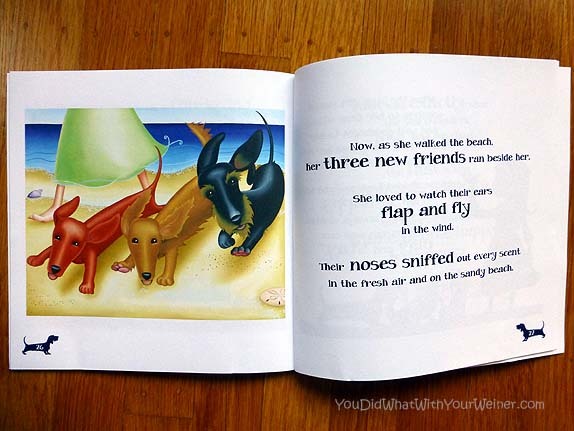 The book, How Dachshunds Came to Be: A Tall Tale About a Short Long Dog, has two of my favorite things in it…the beach and Dachshunds. It’s about a little girl who lives by the sea and loves to go to the beach. She is sad because she can’t bring animals from the beach home with her. Her animal friends see her sadness and want to create a friend for her that she CAN take home with her. They get together to brainstorm about what characteristics this friend should have. All of her ocean friends say what characteristics they think this animal should have and magically the ideal companion is created for the little girl. Guess what they came up with? THREE DACHSHUNDS. This book has a cute little story and great, colorful illustrations. 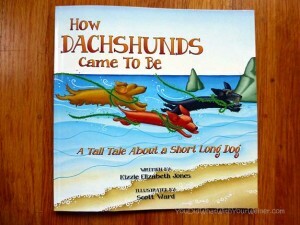 I like it because, well, it is about Dachshunds but there is more to it than that. It’s a good story about friendship and the environment. I don’t have children myself and, honestly, don’t know many…especially not of reading age. You can bet though that I am wracking my brain trying to find one or two I know that I can give this book too. Parents might get mad at me though because their kids might start asking for a Dachshund of their own. Ha, ha. The book can be found at two small, local book stores: The Edmonds and Lopez Island book stores. It can also be ordered online through Amazon.com using the link below. That looks like a great fun book. Cute story and pictures. What a cute book! Every child should have a dachshund, right? Hey, I just put in my order. I can’t wait to see it, nor can my 3 dachshunds. This book looks adorable! Not only is the story great but I love how colourful the pictures are. I wish I had a child in my extended family to give this to! Great idea with the pet blogger group and how cool to have an author in it too! 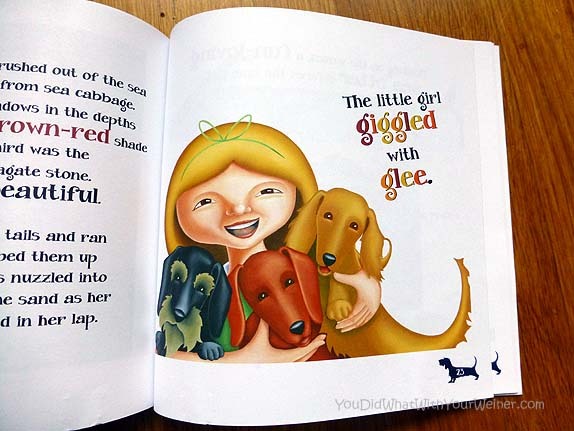 Super fun book – we don’t have miniature humans at our place either but the book looks great! How cute! I don’t have any kids in my life either, until our niece comes in April! I probably won’t wait until reading age to pick this up though!